College & Career Ready: OEP Conference, Here We Come! Judging by the amount of recent news stories in relation to “college and career readiness,” it looks like we have hit upon an important topic for our 2014 OEP Conference: Diplomas, Degrees and Certificates: Helping Arkansas Students Find Their Ideal Careers. Register to attend the May 15 conference at the Clinton Center in Little Rock here. Now, for a look at what’s happening in the news. On Monday, President Obama announced more than $100 million in Youth CareerConnect grants for a total of 24 schools that are working to revamp learning so students will graduate with knowledge and skills that are necessary for a successful career. The only national program to receive one of these grants is Boston-based Jobs for the Future, a nonprofit group involved in workforce development and education issues, who received $4.9 million. 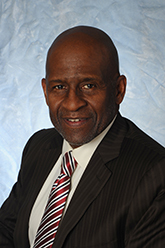 Nancy Hoffman, vice president of Jobs for the Future, said the financial crisis “caused everybody to do rethinking about what you learn in school and the careers to become a productive adult.” We at the OEP are proud to announce that Caesar Mickens, Director of Early College Design Services at Jobs for the Future, will be speaking at our OEP conference. We believe the work that Jobs for the Future is doing is exciting and very relevant, as evidenced by being awarded this grant. ‘Career Technical’ Education: More Middle in the Middle Class? This article from The Atlantic explores the changes in approach that some American schools are taking in terms of preparing students for careers, including the academy model which allow students a choice in career “academies” that emphasize specific occupational skills (locally, this is in use at Springdale High School). It also mentions scholarships that are available for students who want to pursue technical training, including those from The Stockdale Foundation, whose motto is: A Bachelor’s Degree may not be for everyone-Success is. 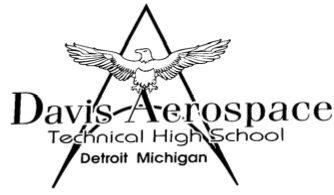 An accompanying article from The Atlantic includes a description of a public high school in Detroit that offers a four-year aviation program that is a fully integrated part of the curriculum. Students can graduate with a pilot’s license, paid for by the Detroit Public Schools. These types of innovation in career technical education are newsworthy because they are pushing the envelope of what we expect from a high school education. There are many other stories about college and career readiness and we may be adding to our coverage of this topic. To learn more about this important issue, don’t forget to register to attend our free OEP conference on Thursday, May 15, 2014 at the Clinton Center in Little Rock!